One last cleaning as January comes to an end,which cannot happen fast enough for me,which is very similar to what I'll be writing about the just as hated February. 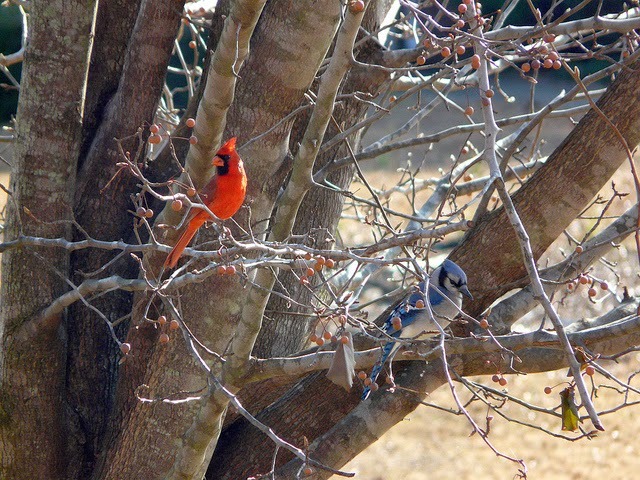 Actually,the only difference between the two for me is that spring training begins. 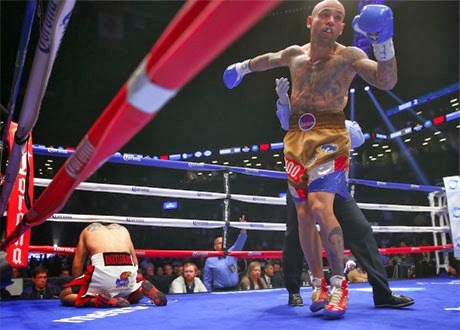 Finally,a conclusive end to the hyped career of Victor Ortiz,who was blasted out in two rounds on FS1 last night by former champion Luis Collazo. Ortiz was another overhyped fighter that lost in every big fight except his bout against Andre Berto,who was a similarly hyped fighter. Ortiz didn't take a huge crack to the chin and didn't always dig deep when the going got tough and I won't miss him. Ryan is a casual boxing fan,but one thing that caught his eye as a kid was Boxcino. Boxcino was an eight man tournament in a few different weight classes in 1997 and Ryan quite enjoyed it. The tournament produced an eventual world champion in Acelino "Popo" Freitas and a world title challenger in J.C. Candelo,so it was worth the promoters time. ESPN will be bringing back Boxcino with tournaments at 135 and 160 pounds starting in February. I still believe the Dome should be saved and not just because the Bad News Bears upset the Houston Toros there. It was the first of its kind and shouldn't there be something for things that were the first of their time? I know things need to come and go,but I still think some should be saved and the Astrodome ranks at the top. And that isn't just because I want an Astrodome seat either! Tony Grossi answers some questions on another crappy season for the Browns,which are interesting and yet painful. That cleans up the inbox sports edition. I'll be adding a non-sports version soon! For years of childhood,my brother,myself and my good friend Greg had "wrestling matches" involving figures of wrestlers that were not truly so. Figures from various makes as Evel Knievel,Dukes of Hazzard,Welcome Back Kotter and the MEGO superheroes to name a few were transformed into the wrestlers of the day in makeshift rings for one reason-Wrestling was not mainstream enough to make toys of the grappling stars. That ended in late 1983 with the announcement that Vince McMahon's WWF would be releasing figures in the following spring. The first two waves were most of what we had and some of series 3. Between ours and Greg's we could cover almost all of the figures released in those first three series. The LJN figures varied in look from pretty close to exact (Tito Santana and King Kong Bundy) to not really close (Roddy Piper and Paul Orndorff) and didn't really do much. Really didn't do much is being super generous on my part because they actually did nothing. The eight inch figures were made of hard rubber and were painted with a type of paint that tended to flake off after the mildest of "action". I have even seen figures that have lost paint standing on shelves that shows how vulnerable that the figures were to flaking. Most of the figures after being played with didn't look very nice and as a result the line doesn't have the resale value of opened figures of other lines from the same age. Their ability to do things were limited to basically your imagination because they did nothing being a molded one piece figure that had zero movement and was more or less you picking them up and slamming them. Most either were in a one or two arms muscle flex pose or a open stance that appeared to be in an amateur attack mode,which is the last thing one would expect from Big John Studd. King Kong Bundy in particular was an interesting figure as it had zero "soft" points (The other figures had softer arms and legs where they flexed/posed). The Bundy figure was like handling a brick and if that figure got thrown at you or anything else,it could do damage. I understand why Bundy was made in this manner due to his characters size,but if Bundy was made like this-why not the even larger Andre the Giant in a similar weight/style? 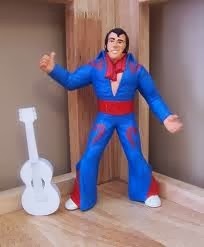 The line was immediately popular because of the novelty,but after a few years the limitations of the product led to lower sales and lower production levels to the point that series four and five ( I only have Ted DiBiase,Honky Tonk Man and Adrian Adonis) were harder to find leading a self-fulfilling end to the figures. LJN went out of business and Hasbro scooped the WWF contract up,reduced the size,added a "move" usually a punch or leaping move and changed the material to a hard plastic. That move would revitalize the WWF brand in the toy market and it's still going strong to this day. For all the limitations,it was always fun messing around with them and their previous "stand ins". Maybe it was more the company and the time spent than the actual games being played that made the memories of an era now gone by. Thanks to Mace Michaels for jogging my mind and making me think of this as a good topic for the day. 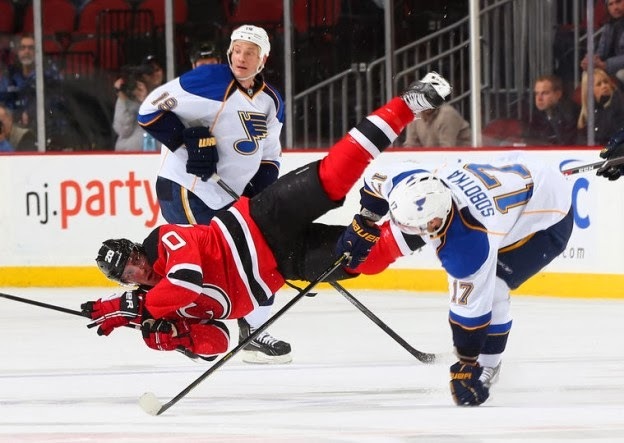 The New Jersey Devils pumped seven goals into the net last Tuesday against the St.Louis Blues. One week later,they would be unable to muster a single goal against the same Blues and lost 3-0 in St.Louis. Cory Schneider finished with 22 saves on the night. New Jersey travels to Dallas on Thursday night before a Friday tilt in Nashville. 1) Cory Schneider was solid in net. 2) Jaroslav Halak scored the shutout,but he really didn't have a ton of difficult saves because the Devils were scattering shots everywhere but on net. Easily among the worst shooting evenings of the season. 3) I enjoy fights as much as the next fan and I also must admit that I believe the Devils are often pushed around this season. However,Ryane Clowe should not be the person dropping the gloves,no matter his frustration. Granted,Clowe won his bout with Roman Polak with ease,but I still maintain for the players sake and his history with concussion issues,Clowe should not be the person involved in these issues. 4) I have written this way too much,not because I enjoy it,but our veterans on defense are just too damn slow. I am tired seeing Bryce Salvador and Anton Volchenkov being behind the play and unable to use their one redeeming trait-physical play. The fact that the team continues to have a long term commitment to these two aging and past their prime players both saddens and angers me..
5) The main offensive woes are caused by lack of talent and especially young talent (which contributes to the shootout ailments),but the Devils have another problem as well. A general lack of cohesion just seems to melt opportunities away.Pass when time to shoot,player into the wrong slot for an open net etc. This team is just flawed in its construction. No one respects Lou Lamiorello more than I,but he will have the off season to shore up the foundation and one has to think changes are coming. In the highly anticipated outdoor debut for the New Jersey Devils,there was much to like,but even more to dislike as the Devils fell apart in the second period and lost a game that could have done them so much good in the standings. The New York Rangers 7-3 win at Yankee Stadium was fun and painful at the same time for the Devils,who scored three of the first four goals of the game in the first period and then watched their offense go dry for the remainder of the contest. Patrik Elias paced the Devils with two goals (8 and 9 power play) with Travis Zajac (8) scoring the other. 1) The second period was some of the worst hockey I've seen in a while and give the Rangers credit for sizing up what had to be done to turn the game around-make the game "firewagon" hockey and at a speed that the Devils could not keep up with. I'll deal with specifics as we go on,but that tactical move turned this game and maybe the season around for the Devils. 2) Why? Because the blueprint to defeating New Jersey was just made public on national television. Every team scouts and watches every game,but this one was on national TV and a special occasion as well. Watch as more and more teams turn up the pace on the Devils because they simply aren't equipped to play on the level with the advanced mileage of so many of their older forwards and the slow defensemen. 3) Martin Brodeur was not good. Eric Gelinas made a mistake with the puck that caused a 3 on 1 that cannot be held on Brodeur and a deflection cannot be helped sometimes,but the first period goals were not strong efforts and he never seemed to make the huge save to change the momentum. 4) It was not totally Brodeur's fault. Eric Gelinas created a 3 on 1 as noted above,Bryce Salvador and Anton Volchenkov seemed to constantly be behind the play and Andy Greene was clobbered out of a play to set up another. 5) On the ice-Martin Brodeur said the ice was the worst he had played on ever. You could take this as sour grapes from someone that allowed six goals in two periods until you hear that the WINNING goalie had the same thoughts. 6) Patrik Elias did score twice and get some TV time,which was nice,but showing he can still finish plays was even better. Elias disappeared after the first like most of the Devils,but still a strong first period. 7) Love the Red and Green. 8) Finally,the Stadium experience was great and I enjoyed the atmosphere,but in typical NHL fashion,it's happening too much. I would cut back to two a year,one in the US and one in Canada in order to keep the game special. We wrap up our review of the Cleveland Browns with a look at special teams,coaching and the front office. Billy Cundiff replaced the rock of the franchise in Phil Dawson as the Browns booter and did well enough. Cundiff didn't have Dawson's range,but nailed 21 of 26,missed just one inside of 40 yards,was accurate on all extra points and didn't miss a field goal that cost a game. All things considered after losing Dawson,Cundiff was good enough..
Spencer Lanning started the season strong and threw for a touchdown off a fake field goal,but cooled off afterward. Lanning's average of 43.8 looks better than it actually played and the Browns will challenge him in camp. Travis Benjamin was electric in the return game before being injured,but his replacements were just pedestrian. Fozzy Whitaker took most of the kickoffs and barely averaged over touchback level. The punts were divided among many with Davone Bess botching a comeback attempt against the Chiefs with a fumbles. Rob Chudzinski made his share of mistakes as a rookie coach,but especially in the first half of the season showed a willingness to gamble and try new things. In hindsight,the more reserved Chudzinski might been protective of his job security with the behind the scenes issues. The team did seem to slack off in effort over the last month,so that had an effect on the team and grade. For all the hurrah about the hirings of Norv Turner and Ray Horton as coordinators,I really didn't see the massive upgrade. Turner did manage to figure out Josh Gordon was the only playmaker and was able to use Jordan Cameron effectively,but was stuck with Brandon Weeden and for his reputation as a QB fixer was unable to do anything with Weeden. Horton's defense looked very good early,but retreated as the season moved forward and was awful in final drives of the half and game. Neither guy rated as awful,but not up to the hype. The Browns get kudos for moving Trent Richardson while he still had value and gaining a first rounder. I wrote at the time,waiting would devalue Richardson,so striking when they could gained them a higher pick.That move is the one decision that the Browns can point to as a great one. The free agent signings were a mixed bag. Paul Kruger was fair in his first year as a Brown,but he's being paid to be a difference maker,not be an average player and he did not come near to playing up to his contract. Desmond Bryant played very well before being injured,while Quentin Groves was hurt early in the season. Brian Hoyer looks like he could be a find and Jason Campbell got them through the season after injuries,so adding them looks decent enough. However, refusing to sign a second QB after the Hoyer injury handicapped the team and signing an injured player off the Green Bay practice squad (Charles Johnson) forced the team to play one player down for a few games didn't look good. Handicapping the coaches with the glacial Willis McGahee at running back and forcing Chris Ogbonaynna out of position didn't help things either. The draft was a disaster as the Browns received little production. Some of that was due to dealing for picks in the 2014 draft,but the selections didn't turn out either. Barkevious Mingo showed tons of ability as a speed rusher and started strong,but was a huge liability in pass coverage. Mingo missed camp with a bruised lung and I think a full camp with be a truer test in 2014 for the LSU product. Leon McFadden was a non-factor unless you consider his pass interference call that set the loss to the Patriots up a factor. Add to that,the Browns could have taken Tyrann Mathieu and you really wonder. Cleveland did get two decent players in the late rounds as Garrett Gilkey and Armonty Bryant both showed some possibilities for future play. Grade:C- only because of the Richardson deal,if that is taken off the table,I would have given a D.
Cory Schneider was dazzling in goal with 30 saves in net as the New Jersey Devils topped the Washington Capitals 2-1 at the Rock. Stephen Gionta scored in the first period (3) to give New Jersey the lead,while Adam Henrique scored the game winner (14 power play) in the second. 1) Cory Schneider should be credited with the win. I mean,he gets the win anyway,but his tremendous play was the difference in getting a win in a game that the Devils did not particularly look strong. Very sharp outing by Schneider. 2) Adam Henrique not only scored the game winner,but finished with eight shots on goal. Those are the numbers of a dominant offensive player,not an Adam Henrique. Henrique has been trending up in his play,but that is a terrific game. 3) The Henrique goal was on the power play,but otherwise did little to impress me than on that penalty time. Actually,the best work with the man advantage was not even on the goal,it was an earlier possession where the Devils stayed in the Washington end and bombarded Michael Neuvirth again and again. 4) The Devils promoted Joe Whitney to make his NHL debut for the game. Whitney wasn't anything special,but the reward for his solid year at Albany was a nice gesture by the Devils for a career AHLer. 5) Ryane Clowe just missed an open net by a hair,but he looks more and more confident each time I see him. Perhaps there is some hope to get some mileage out of his contract yet?! 6) First game for us in a week as we missed two games out west and the Blues game as I was snowed in at work. I wished I could have written about that game,but as I have noted,I try not to post on games that I have not seen.. The Winter Classic series are always such fun to watch and I am anxious to see the Devils debut outdoors. A friend of mine that I haven't seen in years,but through the wonders of Facebook,I know whats going on in his life a bit. We are not close,haven't seen each other in years,but I knew his dad and was astonished to hear of a heart attack recently. Things appeared to be on the upswing and then to my surprise at work,found out that his dad had passed away. That made me think of two things-health and my dad. It's scary to think that my parents are reaching senior citizen age. That the big strong man that I grew up believing in is beginning to show his age and that means I am as well. My father and I are in a position over the last year and a half that we have never been in before and it is quite scary to see people of similar ages going away. It makes me think of lost time. Time that can never be gotten back,but can be filled if we can only catch up. The rehabilitation of my father and I's relationship comes as another close relationship of mine has walked off the stage and although one never says never,there is massive doubt on my part on any future rebuilding. I don't think that either party has had any interest in sowing those seeds,I know I don't. Sometimes you just have to say "I give",keep the good memories and move on for the best of both parties. It's dealing with what is instead of what was or what could be and I don't think that's a bad thing-again for both parties. However,it has been worth the work that both Dad and I have put in and this particular passing of my friend's dad has especially hit home. My father and his were likely roughly the same age and it makes me think of what I could be going through and what I eventually will be forced to. It also makes you not want to put your kids through the same thing. I've tried getting into better shape before and I've written about it as well. Perhaps it may time to try a different tack. Not sure what that will be,but the time feels right. Not saying I'll succeed,but I think it's time to try again. I sure don't want Cherie and my kids to deal with that before it is necessary. Quite an eye opener this morning. Back later with a return to Devils hockey after missing three games due to work! The Cleveland Browns ended their hunt for a new head coach with the hiring of Buffalo defensive coordinator Mike Pettine as their new bench boss. The 47 year old Pettine brings a strong defensive background and in his only year in Buffalo improved their defense notably in getting to the quarterback and interceptions,but in his previous stint as a coordinator with the Jets for four years,Pettine was more or less the coordinator in name only as Rex Ryan ran the Jets defense. I'll break this down a bit via pros and cons as I did in telling the lovely Cherie when she asked about Pettine after she arrived home from work. Pettine obviously comes from a solid football background with his dad being a legendary high school coach in Pennsylvania,lots of time learning from Rex Ryan and running a similar defense in Buffalo. Pettine also seems to be a hard nosed guy that will put the whip to the Browns after nice guy coaches Shurmur and Chudzinski. I don't think he will have any problems getting players fired up to play for him either. He reminded me a little of Bill Cowher,physically and the way he exudes toughness made me think of Cowher again. I have had my criticisms of Bill Cowher,but if Mike Pettine is able to get remotely similar results-it's a good hire. I also liked him saying that he will suit his systems to the personnel. After watching Eric Mangini and Pat Shurmur shove their preferences down the throat of players suited for something else,I love hearing that. Pettine learned a lot from Rex Ryan and the Bills finished high in the standings of sacks and interceptions. Big plays and attacking defenses are fun to watch. Pettine has never been a head coach above the high school level. That alone is a little red flag. Has really just one year of a defense being truly "his" and now he will have the demands of a head man? 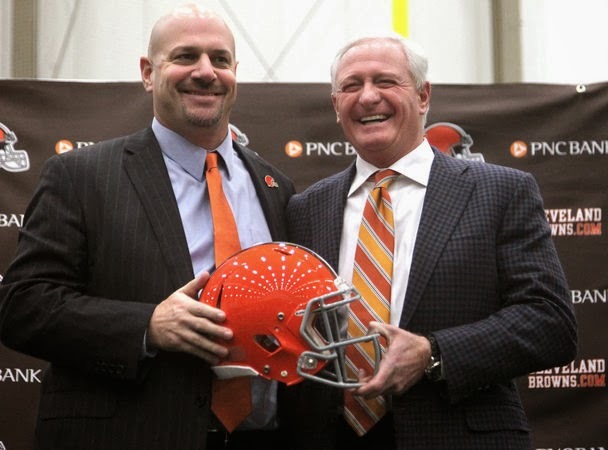 The Browns were the only team to have interest in Pettine,could it be that he was one of the few to tolerate little say in personnel and work for Joe Banner? Zero experience in the NFL on the offensive side of the football. When you consider that this job was looked at as the worst job available due to the personnel (Banner/Lombardi) department,I'm not sure that I would be thrilled no matter who was hired. The Browns could have hired Pettine weeks ago,helped him assemble a staff etc,but instead chose to dither. If they were waiting for someone,why didn't they finish their wait after this long? I have an open mind to Mike Pettine as I would have to any hire. The field was simply not that deep,no matter how many coaches that the Browns interviewed and whoever they hired would have questions,but any new coach is a shot in the dark no matter their pedigree. Just a quick note to explain why I've been away for a few days. Devils out west,no other news and I am in the middle of a 23 hour (really) awake shift in a week filled with other work things to do,so my brain is fried. I missed the Devils 7-1 win over the Blues while I was here,so cannot write about that. I'll try to get something together for tonight,maybe a look back or something. 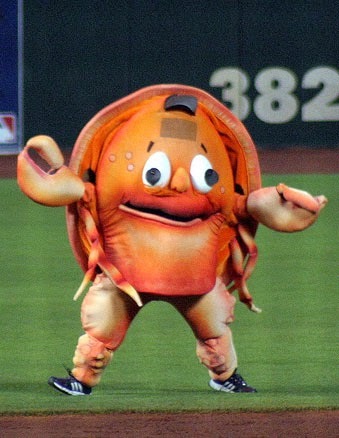 If the Browns hire their new head coach today,that will take precedence. With an inch of snow falling during the night and Opening day still two and a half months away,ones thoughts does wander towards spring and the seasons goals for the ballpark visitor/grapher. I have one big trip planned that I won't comment on yet,but I do have a few new parks that I hope to hit this year. Looks like one new park will be Akron. Rachel wants to do the "Duck Tape Festival" in Avon,Ohio and the newly dubbed Rubber Ducks are the only team home during that weekend. Lake County would have been a better graphing option as Akron can be gotten at Harrisburg,Altoona or even Bowie if needed,but Akron is the only team in the area to be home. I have been to Canal Park,but only for a merchandise run and the team did allow some pictures as we walked around the park. Assuming that works out,Akron would move from the "been there,but not for a game" to the "game" list. My area that stretches from parks that I have not been to stands at this currently- Closest team that I have not been to-North-Scranton (AAA Yankees),South-Richmond (AA Giants) and West-Charleston (Low A Pirates). I'd like to stretch that circle a bit with hitting at least one of them in 2014. I'm not sure if this will happen with time/money,but I am hoping to hit Jamestown NY this season. This will be the last season for the NY/Penn league Jammers as they will be moving to a new ballpark in Morgantown WV for 2015 and it is unlikely that Russell Dietrick Stadium will bring baseball back. Even if Jamestown was able to land a new team eventually,a new stadium will be in order. 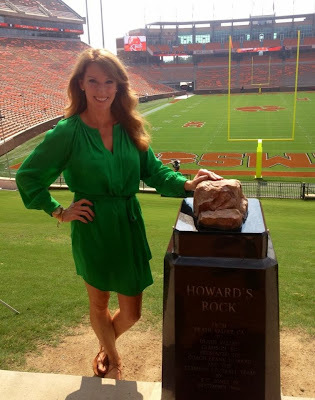 I still kick myself for not getting to Granger Stadium in Kinston NC,so if possible I really want to make that run. 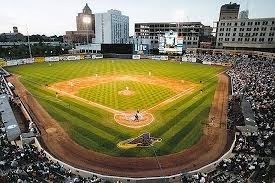 The final park that I hope to get would occur if I get to Jamestown,I could hit another team in the area if the schedule falls right.The closest would be Erie,but other possibilities depending on the route include Binghamton,Scranton,Syracuse,Buffalo and Batavia (another endangered team). It just all depends on how much I want to travel and what way we go. Two All-Star games in store for 2014 as Derreck and I will be hitting the Eastern League All-Star game in Altoona and the Carolina/California League game in Wilmington Delaware. I'm especially looking forward to getting some of the prospects from the Cal league that are difficult to for me to get. Toss that in with the final season of baseball in Hagerstown,the circuit in Frederick and Harrisburg and 2014 looks like a fun year coming up. Three passings on a slow day,so I decided to knock this post out instead of waiting for a cleaning of the inbox. The Devils lost 2-1 in yet another shootout in Colorado and due to the time difference in Denver,I listened via XM and therefore didn't get to watch the game. 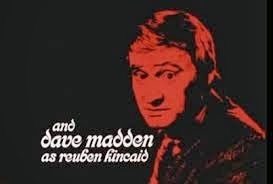 Madden was also a regular on Laugh-In and a small recurring role on Alice,but was known to generations of kids as Reuben Kincaid,the perennial foil for Danny Partridge and befuddled manager of the group. The Partridge Family was bigger than the Brady Bunch when the two shows were paired together on ABC in their network run,but the latter became far bigger in syndication,despite being a better show in my opinion and much of that was due to the skills of Madden to play off Danny Bonaduce. As a result,the show did not quite reach iconic status through the years as it did its first run and early syndication years as the Brady Bunch would do. Russell Johnson,best known as the Professor on Gilligan's Island passed away at 89. Johnson appeared in several guest shots on too many shows to name through the years,but was for 50 years "The Professor"-the man brilliant enough to run schemes through coconuts and leaves,yet could not fix a hole in a boat. Gilligan's Island was a fan of children for years because of its silliness,physical comedy and of course-the eternal question-Ginger or Mary Ann. I'll let you guess where I stand on that question,but Johnson's role as the professor actually did (albeit little) add some science to kids simply through the rudimentary explanations of the various schemes and projects to get off the island. Jose Sulaiman might not be a name that most of you know,but he was a name known to me for years as president of the World Boxing Council,one of the "big three" organizations that sanction boxing championships. Sulaiman and his organization took title fights from 15 rounds to 12,made ridiculous decisions,pandered to certain promoters and fighters from the organization's home county (Mexico),created new and unneeded weight classes (to create more champions) and started this ridiculous sanctioning of "regular" and "interim" titles that due to the money brought in from these titles spread to other boxing bodies. Sulaiman also nearly broke the WBC with a move that saw them finally be called out and cost them 30 million dollars for their dumb decisions. "In 1998, then-light heavyweight champion Roy Jones vacated the WBC title and Graciano Rocchigiani outpointed Michael Nunn a few months later to win the vacant title. Rocchigiani was announced as the new champion, given a belt in the ring and listed in subsequent official rankings as the organization's world champion. However, when Jones changed his mind and asked the WBC to reinstate him as light heavyweight champion, Sulaiman granted his request, breaking the rules. The WBC informed Rocchigiani that listing him as champion was a "typographical error." Rocchigiani sued the WBC in U.S. federal court, claiming the WBC had broken its rules and damaged his earning power by taking away the title. He won the case and a $30 million judgment. The WBC and Rocchigiani eventually reached a settlement under which the organization had to pay him regular installments of the settlement. In order to raise money to go toward the payments, Sulaiman began to create more and more titles so the WBC could collect additional sanctioning fees." Suffice it to say,Sulaiman was a negative contributor to the sport and as I'm sorry he passed,it will not be a even a minor loss to boxing. The Cleveland Browns defense received notice for being improved under Ray Horton and in the early season,there was a air of legitimacy to that notice. As fall turned colder and more data came in on the group,it became easy to see that optimism was disappointing and the unit had not improved at all. Here are our thoughts on the unit. Going into the season,this appeared to be the strength of the defense as far as talent went,but much of that talent seemed better suited to a 4-3 defense,not the 3-4 installed by Rob Chudzinski and Ray Horton. There were some occasional strong games,but the above assumption turned out to be true. Ahtyba Rubin's production dipped a little and Phil Taylor was not the consistent run stuffer that he was as a 4-3 defensive tackle. Desmond Bryant was playing before being injured and Billy Winn was showing signs before he began to get nicked up. John Hughes seems more suited to playing the gap in the 4-3,but late round pick Armonty Bryant had his moments as a pass rusher and might have potential as a DT pass rusher..
D'Qwell Jackson once again led the team in tackles,but once again showed his lack of playmaking skills. Jackson is a player that makes tackles downfield,but rarely makes them behind the line. Jackson carries a hefty contract number for 2014 and I would not be surprised to see the Browns let him test the market. Craig Robertson struggled in pass coverage and the Browns will likely look to replace him. On the outside,lots of money was paid to bring Paul Kruger from Baltimore and he proved to be OK.
Not worth the money that he was paid with just 4.5 sacks,but not a liability either. Barkevious Mingo missed camp with a lung injury and showed ability on the pass rush especially early in the season,but faded badly down the stretch. Mingo should improve with a full camp.but my concern is where does he fit,if the new system is a 4-3? Jabaal Sheard had an injury plagued season in his first year as a standup backer,but played well when healthy. We do know what Sheard can do if a 4-3 return arises-back to end. Various others played at times,with Quentin Groves being the biggest loss early in the year due to injury. Joe Haden made his first pro bowl and had a terrific year for the most part although he was beaten for the occasional big play. Haden has matured into one of the top corners in the game. Buster Skrine improved dramatically on the other side and unless the Browns add a top notch corner,should be back as the starter. The safeties were above average with T.J. Ward delivering a huge year in his contract season and Tashaun Gipson might not be a playmaker,but has become a solid player. Leon McFadden was disappointing in his first season after being a third round pick,but Jordan Poyer was impressive after being signed from the Eagles. 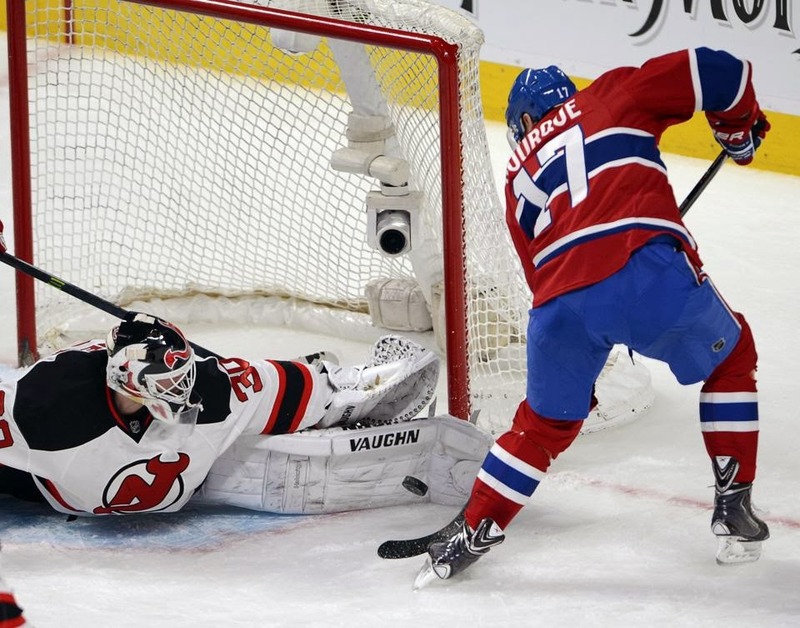 The New Jersey Devils scored the final four goals of the game and finished with an overwhelming 4-1 win over the Canadiens in Montreal. The Devils received goals from Jaromir Jagr (14),Adam Henrique (12),Dainius Zubrus (9 empty net) and Eric Gelinas (5 power play). The Devils continue their road swing with games in Denver and Phoenix later this week. Considering the starts and my work schedule,there are no guarantees on coverage due to the late starts. 1) The Devils are still in this crazy Metro division battle in which 2nd place and 7th are separated by just five points. New Jersey is in 5th place,two points behind Washington and Philadelphia (tied for 2nd) and one point behind the Rangers. 2) Martin Brodeur might have been beaten once on a save that he should have made,but was otherwise strong. Marty did have some luck as one shot clanged the pipe and another was taken down,but all and all-a good night. 3) Play that swung the game.Brendan Gallagher's goal that was called off for kicking the puck into the net. When that goal was overturned,you could see a little air go out of the Habs tires and you just had a feeling that this was it. 4) Eric Gelinas showed his heavy shot with a howitzer on a power play goal,but he only played a little over eight minutes. Between dressing seven defensemen and Adam Larsson at Albany,you'll have to convince me that a move before the trading deadline is not going to happen. 5) The Devils line of Adam Henrique,Michael Ryder and Ryane Clowe is showing quite the chemistry of late and the production that comes with it. Ride this train as long as you can! 6) Worst call of the year candidate as Francis Bouillon high sticked Max Pacioretty in the face and Ryane Clowe got the penalty. Considering Clowe's stick never moved and Bouillon and Pacioretty both play for Montreal this was a brutally bad call. I know,big deal,but to me it is. I used to be a huge weather geek and spent many a late night watching The Weather Channel and early morning for my job to know weather conditions for my clients. I enjoyed learning more (It should never stop,folks) about weather,found it interesting and like any other channel that employs personalities had my favorites and those that I didn't like as much. However,it was an affair that quickly went sour. NBC bought TWC and added it to its family of channels and quickly began to reassemble what had been built for almost thirty years. Longtime fan favorites began to watch their careers either end at TWC or see their roles reduced by being shuffled to unfamiliar time slots in favor of other less talented weatherpersons,some of which that weren't even AMS certified and in one case,included hiring a dancer from Las Vegas with zero weather experience. TWC began to shove Stephanie Abrams as their main weather star and despite her obnoxious behavior and less than popular style continued to do so along with increasing the exposure of Al Roker from the parent network at NBC. I was already losing interest when they did not renew the contract of Nicole Mitchell (see our interview series with Nicole for more),but the final straw was when TWC became less than weather. Multiple reality shows aired every day and on occasion,weather related films were shown. Not exactly what you expect from the Weather Channel. It became a chore to watch and that isn't what television is supposed to be all about. Directv and TWC began to squabble about their new contract. Directv and all cable/satellite providers are constantly raising prices and this is over the price each channel charges them. It's all a shell game,but Directv has drawn a line in the sand,dropped TWC,despite the network's claims of being a public service and appears to be not turning back. In the past when these contests occur,Directv will take the channel and run ads for you to contact the network in question and talk to them so an agreement can be worked out. The new channel owned by Directv in Weather Nation has appeared and despite it being bare bones,looks to have some of what built TWC. I haven't watched much,so I'm not sure of its quality,but I'll give it a chance. The Weather Channel did this to themselves with their decision making and its sad to see it go,even being a rusted shell of its former glory. Good for Directv for refusing to pay for past performance. 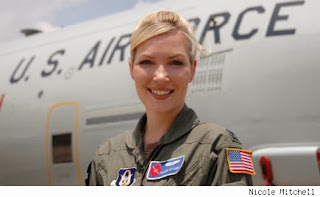 Editors Note: I swapped e-mails with Nicole on this topic and she informs me that "the founder of WeatherNation was a long-time MN Meteorologist who seems very passionate about weather"
I'm looking forward to giving Weather Nation a full chance this week! The shootout hurdle tripped the New Jersey Devils up again in Toronto as the Devils settled for one point again with a 3-2 shootout loss to the Maple Leafs. Adam Henrique (11 Power play) and Ryane Clowe (1) each scored in the second period for the Devils goals. The Devils will be in Montreal Tuesday night. 1) The Devils are now 0-7 in shootouts this season. In my opinion,the Devils just don't have creators that thrive in the shootout format and that is the main issue with the current problems. 2) Adam Henrique continued his scored run with a slick power play goal off a Ryane Clowe pass. Henrique has been playing well,but the play was made by Clowe,who put the puck on the money. 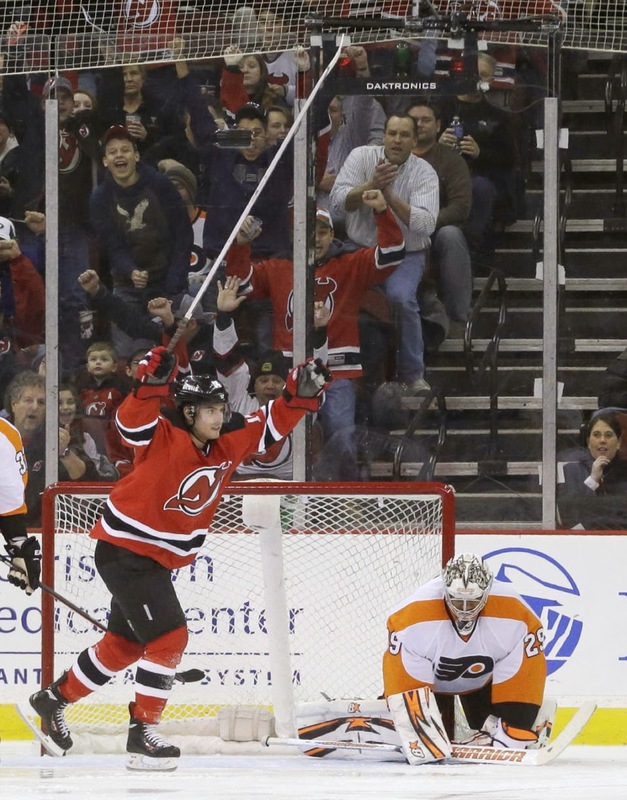 3) Clowe also scored the first goal of his Devils career on a breakaway set by a Marek Zidlicky pass. Clowe has played well over the last few games and seems to rounding into form after concussion issues. 4) Cory Schneider played well enough to win as both goals that he allowed were not on him from short range. 5) Martin Brodeur made a statement that he would like to play next season and realizes that it might not be in New Jersey. The question is can Brodeur accept being the number two goalie? If so,the Devils will keep him,if not,he might leave as sad as that would be. 6) Adam Larsson has four assists in his first three games in Albany. The New Orleans Saints ended their season in Seattle with an NFC Divisional playoff loss to the Seahawks in Seattle 23-15 with a loss that will be debated for much of the off season by Saints fans. 1) When people say the home field advantage does not matter-refer them to this game. The difference in the Saints offense in a dome compared to in the damp conditions of Seattle makes the difference in these two teams. Seattle was a deserving winner,but different track might have made a different winner. 2) Normally,I think Sean Payton is among the best play callers in the game,but I did wonder on a few in this game. Everyone has a bad game and this one might have been Payton's. 3) For example,asking Shayne Graham to attempt two field goals over forty yards into a driving wind was asking too much of a kicker not known for a power leg. I think both kicks (and I know the first one for sure) would have been good in better conditions,but considering that they weren't and Graham is not known as a long range booter-I might have gone a different way. 4) Key play in the game was the Mark Ingram fumble in early second period play. Ingram's fumble handed Seattle great field position and they quickly scored their only touchdown until late in the game. Take that fumble off the board and the two first period field goals make this anyone's game. 5) Khiry Robinson played well and might have put himself in position to be the feature back next season. John Lynch said that Bill Parcells compared Robinson to Curtis Martin. I can see those comparisons due to running style,but I think he would have a long way to go to be a Curtis Martin. 6) The play that everyone is talking about the play that ended the game. Drew Bress gunned the ball to Marques Colston by the sideline. Instead of stepping out of bounds and giving the Saints one shot at the end zone,Colston threw the ball forward for a penalty and since the Saints were out of timeouts,the ten second runoff rule took affect and ended the game. Yes,it was a wacky decision by Colston,but watching the replay,had Colston put the throw on the money for a backward lateral-it might have worked. The player that caught looked pretty open to me and it would have at least been interesting to see. 7) No blame on Rob Ryan's defense. They were on the field most of the day and allowed just two scores-one on a short field and the other late in the game when they were worn out. Give them credit for keeping the Saints in the game not blame. 8) Jimmy Graham-one catch on the next to last play of the game.Credit to Seattle for keeping the ball out of the hands of the Saints top playmaker,but the Saints did not really try to get the ball to Graham a lot.Six targets is not a ton for Graham..
9) I know the weather is going to get some blame for the offenses struggles and Drew Brees did not relish the first half conditions,but the Saints let the weather and the environment change what they do-go downfield and make things happen. I'm all for establishing the running game,but seldom in the first half did the Saints try to go downfield. Sometimes,you have to be what you are-even if things are going to dictate problems with that. 10) The things that will need to improve for New Orleans football in the off season is finding a way to win on the road in order to play at home. Put the heartbreaking loss at New England aside,two road losses to mediocre teams in the Jets and Rams and the road loss in the rain at Carolina shows the difference in the team on the road. Win one of the aforementioned games-Just one and the Saints are hosting the 49ers today instead of being in Seattle yesterday. That is what the top need for the franchise will be-learning to win the road games that you should win..
Love it when a plan comes together! Devils win in OT! With under five seconds to play in overtime,Peter DeBoer called a timeout to design a play off the faceoff deep in the Florida Panthers zone. These plays rarely result in goals,but Travis Zajac won the faceoff by topping the puck to Jaromir Jagr,who passed to the waiting Marek Zidlicky. Zidlicky's shot then eluded the screened Tim Thomas for the game winner with two seconds left in overtime (8) for the 2-1 New Jersey win. Michael Ryder gave the Devils the early lead with his first period goal (16) before Florida tied it in the second. Cory Schneider earned the win with an excellent 30 save performance. 1) The game winner was drawn up by Peter DeBoer off the timeout and took perfect execution by all three players involved,but it all starts with the faceoff win by Travis Zajac. Zajac is the Devils top faceoff man and has been winning more faceoffs than usual of late. 2) Second great game in a row from Cory Schneider,who allowed just one goal,which wasn't his fault and finished the evening with 30 saves. 3) Marek Zidlicky showed the inconsistency that makes him Rachel's least favorite Devil. Zidlicky notched the game winner,but also was involved in the Florida goal by not taking care of business on the defensive end. 4) Zidlicky and Jon Merrill showed how to be befuddled by defending a 3 on 2 rush on the Nick Bjugstad goal. 5) The assist to Jaromir Jagr moved Jagr ahead of Mario Lemieux on the all time points list..
6) I couldn't leave without giving credit to Tim Thomas for a super game at the age of 39. Thomas was terrific in getting Florida a point and prime Thomas was not stopping either of the Devils goals and made several spectacular saves. I plan on being back with a look at the Saints loss in Seattle,but that may wait a day with an unexpected day of work tomorrow and more Devils action to come. Here is some thoughts of the Browns offense from the 4-12 season and my grades for the team. Brian Hoyer won all three of his starts,but suffered a season-ending injury in the third (Brandon Weeden finished up). 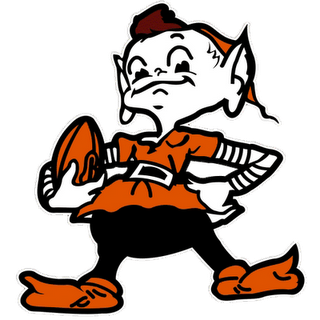 That injury might have been the turning point of the season for the Browns and not just for the won/loss record. Hoyer's injury kept the Browns from knowing just what the team had in him and therefore not knowing for sure if they need to invest a high pick on a quarterback. Hoyer will likely be given every chance to start next season. Jason Campbell won just one game in his starts,but did catch a bad break or two due to things beyond his control. Campbell's work ranged from tremendous to bad and I would suspect with the team wanting to draft a quarterback or two that the veteran spot will likely go to Hoyer. Campbell played well enough to find a place in the league,but that place will likely not be in Cleveland. Brandon Weeden's numbers weren't awful (9 TD 9 INT) ,but his play was with some of the most ridiculous plays that you can imagine when games are won and lost. Weeden will be likely released as I cannot imagine anyone trading anything of value when you see his rookie contract and performance. The Trent Richardson trade proved to be a good one,but the Browns never truly addressed the need at the position after the deal. Willis McGahee was signed after the trade and showed that he was washed up while Chris Ogbonnaya was miscast at fullback and suffered some key fumbles. Ogbonnaya should be a third pass pass catching back,yet the Browns insisted on using him at fullback for most of the season. Fozzy Whitaker did not shine in limited action,but I did like what I saw for Edwin Baker in a late season cameo after being signed from Houston. I liked Baker coming out of Michigan State and think he should get a shot in camp next year. Josh Gordon was the AFC's version of Calvin Johnson,dominating games even when defenses were totally keyed on stopping him. I'm drooling at what Gordon could do with a decent QB throwing to him and a threat on the other side. It's a good thing the Browns had Gordon because they got nothing from anyone else. Davone Bess was traded for and given a large contract because of his great hands in Miami. In Cleveland,he led the league in drops and handed the Chiefs a game with a fumbled punt before off the field issues that basically saw him quit the team. I hope Bess does not return,but his contract might mean he will unless the Browns can get breach of contract for his leaving the team. Greg Little continued to show tremendous physical skills and continued to drop the football. Little might be better served with a fresh start and at least should not be counted on as the number two receiver next season. Only Travis Benjamin before his injury and Josh Cooper late in the season were other Browns wideouts to notch catches in the season. Jordan Cameron finally turned his physical skills into production with a 80 catch season. I still think Cameron has even more room to improve and if he does,he might be the AFC's answer to Jimmy Graham. Gary Barnridge was a decent enough backup,but nothing special while Mar'Quis Gray was the developmental project at tight end along with fullback and wildcat quarterback. Two Pro Bowlers on the line indicates a better line than it truly was. Joe Thomas was not as good as usual at left tackle although a down year for Thomas is a top of the line year for most. John Greco was surprisingly good again at left guard beside Thomas and Alex Mack was strong up the middle at center. Mack will likely leave via free agency,so that will leave a huge gap to be filled. Shaun Lauvao continues to disappoint at left guard and needs to be replaced. Mitchell Schwartz regressed at right tackle and might not have a future in Cleveland considering he was selected by the past regime. Garrett Gilkey showed signs of ability after being a late round pick and Jason Pinkston might be better next season after he has fully recovered from his 2012 battle with blood clots..
Michael Ryder's second period goal from the slot (15) off a Travis Zajac pass was all the New Jersey Devils needed as the Devils received 26 saves from Cory Schneider and defeated the Dallas Stars 1-0 at the Rock. 1) Full credit to Travis Zajac for his pass to Michael Ryder for the games only goal. 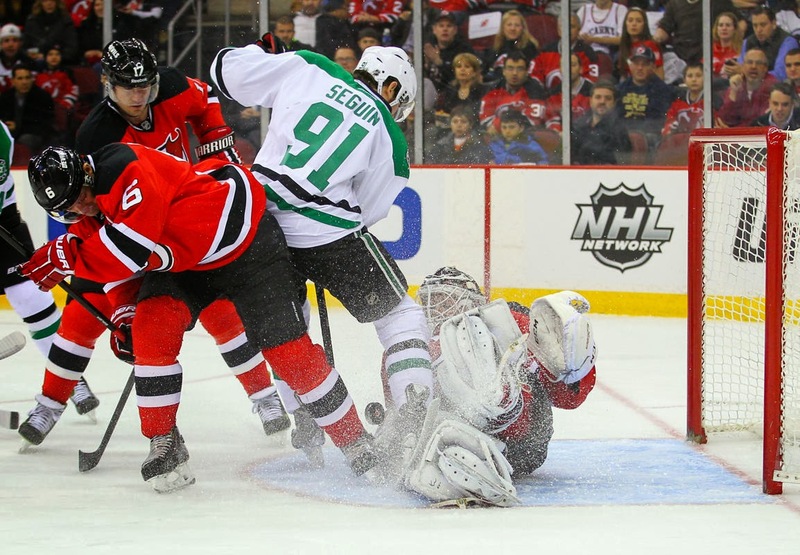 2) Both goalies were very sharp in this one with Cory Schneider and Kari Lehtonen each posting strong performances. Schneider was very good,but one could make an argument that Lehtonen might have been better. The Dallas defensemen often left Lehtonen hung out and with one exception,he made all the saves. In any event,it was a game that saw good goaltending more than bad scoring attempts. 3) Big part of this win? A four minute penalty kill off a Stephen Gionta double minor for high sticking. The second period penalty was the last penalty of the game for either team and that kill was a huge difference. Bryce Salvador and Anton Volchenkov both were strong on that PK. 4) I'm not a fan of the Salvador-Volchnkov pairing at full strength,I think they are too slow and will prove to be liabilities against speedier teams,but on the penalty kill,that duo works very well together. On the PK,their ability to push and shove goes a long way-I like it. 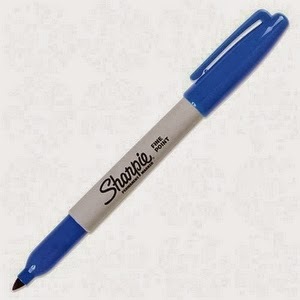 5) Dallas uniforms have been talked about this year and usually I have not been a fan of newer uniforms. However,I really like these as I like using more of a Kelly Green than the darker version that seems to be used more in sports currently. 6) Adam Larsson is ready to return to action and has been assigned to Albany. As critical as I have been of Peter DeBoer's handling of Larsson,this is a smart move as it allows Larsson to get back into shape without being caught in the backup of defensemen. 7) Speaking of that,the Capitals attempted to slide Alexander Urbom back through waivers. The Devils claimed Urbom and brought the Swedish defenseman back to the organization. Urbom is still just 23,so the potential is still viable and at no cost,well worth the claim. Time for some goodbyes with two recent and a few others from 2013 that I missed..
Goodbye to former outfielder Paul Blair,who spent most of his career with the Orioles,but spent a few years with the Yankees and Reds as a defensive specialist. Blair was quite a hitter in his young days before a beanball took away much of his aggressiveness at that plate. Goodbye to Mike Hegan,who passed away at 71 on Christmas Eve. Hegan was a journeyman player for five teams,most notably with the 1969 Seattle Pilots and as a result being one of the players in Ball Four. Hegan will be more remembered by Ohio fans as the long time member of the announcing booth for the Indians on both radio and television. Hegan was able to do play by play or play the analyst role as well and was very understated and knowledgeable. Sports Illustrated said some farewells in the year end issue and I missed a few interesting goodbyes from the year. Former heavyweight champion Ken Norton passed away at 70 and Norton's death fell through the cracks as I did know about that one. Norton broke Muhammad Ali's jaw in their first fight earning the upset win and lost razor close decisions that could have gone either way in their second and third bouts. Norton tended to do very well against skilled fighters,but struggles spectacularly against big bombers as George Foreman starched him in two,Earnie Shavers in one (when a win would have gotten him a title rematch with Larry Holmes) and Gerry Cooney in one. Norton is also noted for being the only heavyweight champion to never win a title bout. Norton won an elimination bout as the WBC's number one contender via split decision over second ranked Jimmy Young. When Leon Spinks was stripped by the WBC for fighting a rematch with Muhammad Ali instead of Norton,Norton was given the WBC strap. Chuck Fairbanks passed at 79. Fairbanks was the coach that installed the Wishbone offense at Oklahoma and began the Sooners reign of terror before leaving OU for Barry Switzer to dominate with to go to the New England Patriots. Fairbanks built a good,young team in New England before leaving before the last game of the season in 1978 for a big money contract at Colorado. Fairbanks suffered through three bad years at Colorado and a losing season with the USFL's New Jersey Generals before leaving coaching for good. Virgil Trucks passed at 95. Trucks was most notable for being the ace of the Detroit Tigers staff in the 40's and 50's. Those Tigers team were generally pretty crummy,so better surrounding talent would have improved a career record of 177-135 and might been enough for Hall of Fame consideration. Andy Pafko passed at 92. The five time all star with the Braves,Cubs and Dodgers is remembered by me for two reasons. The first is being the left fielder for Brooklyn that watched Bobby Thomson's "Shot heard round the world" fly over his head and into the seats. Pafko also is the first card in the iconic 1952 Topps set. Pafko is also part of the book on the Dodgers "the Boys of Summer". Zelmo Beaty passed at 73. The center led the Utah Stars to their only ABA title after jumping to the league from the Atlanta Hawks. Back tonight with Devils hockey and I still want to go into my season wrapups for the Browns soon. The New Jersey Devils scored the first goal of the game less than a minute into the game and scored the last goal of regulation with under a minute remaining. In between was a lot of less than scintillating hockey and the Philadelphia Flyers ended it in overtime on a Braden Schenn goal to give Philadelphia a 3-2 win. Adam Henrique scored in the first period (10) for the Devils,while Michael Ryder tied the game (14) with the goalie pulled,but the Devils a man down,so the goals was considered a shorthanded one. 1) Adam Henrique's goal scoring surge continued as he finished a touch off pass off from Ryane Clowe into the net. Henrique's run of goal scoring will be one that hopefully will not be cooled off by the coming Olympic break. 2) The Devils almost won this game seconds before they lost it as Stephen Gionta smacked a shot off the opposite pipe that looked more like a centering pass. The puck came very close to going in and Philadelphia would then win the game on the next rush up ice..
3) The Devils did turn around their issues with low shots for the evening as they put 33 on Ray Emery. Most of them were pedestrian shots dead on center,but it was encouraging to the output raised. 4) Defensively,the Devils were strong other than one breakdown that cost the team a goal. Marek Zidlicky played the middle man and then handed the Flyers a odd man rush,which handed the goal to Scott Hartnell. A bad decision by Zidlicky and a costly one..
5) Eric Gelinas returned from Albany,but didn't play. Not sure what the point of having to have him there was so quickly,if they were just going to scratch him? The Cleveland Cavaliers had time constraints in moving the cap needle for Andrew Bynum and they looked to be gaining Pau Gasol from the Lakers in the "save us from the luxury cap derby" for the contract of Bynum. Cleveland did move the contract of Bynum before the bell that would have forced the Cavaliers to either release Bynum and receive no assets for him or pay him another six million dollars in an attempt to gain something for him. However,it was not the Lakers that finally pulled the trigger and it is not Pau Gasol that is coming to Cleveland,it's Luol Deng that is since the Chicago Bulls decided to avoid the luxury tax and send the talented small forward to Lake Erie. Cleveland will be sending Bynum (who will be released to save the Bulls more dough) along with three draft picks-Sacramento future 1st rounder from the JJ Hickson trade (lottery protected and if the Kings don't make playoffs becomes a 2) and two second round picks that originally belonged to Portland. 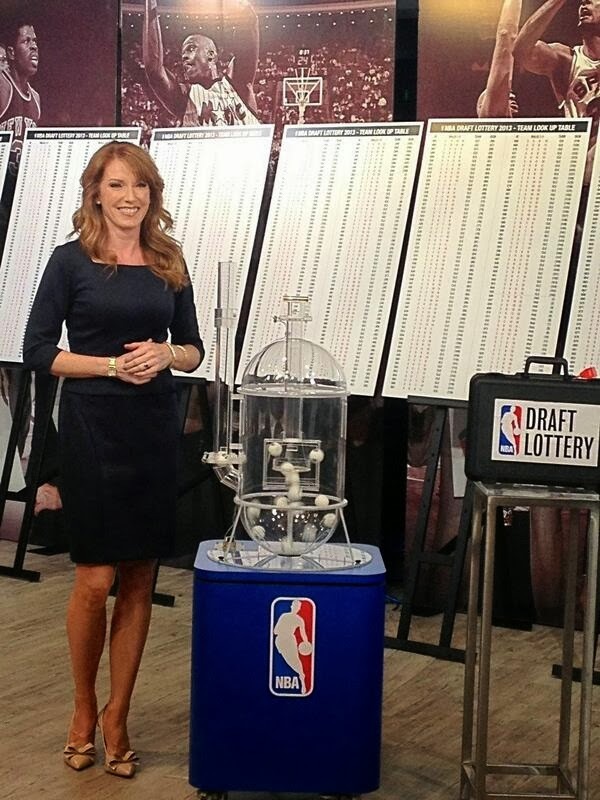 Chicago also has the right to swap first rounders with Cleveland in 2015,if the Cavaliers are not in the lottery. Deng brings the Cavaliers the most talented small forward that the team has seen since the departure of LeBron James and easily the most complete player that Cleveland has seen period since then when you consider his skills on the defensive end. Deng has no weaknesses in his game and might be maturing (at 28) into the type of player that could be a franchise leader. SO,what's the problem-just one . 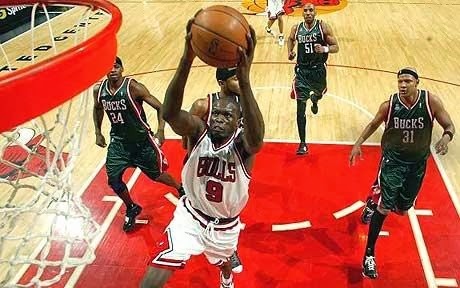 Deng is a free agent at the end of the year and could be a rental player. By making the deal,the Cavaliers could offer him a max contract that they could not offer him had they not had his rights,but that still does mean that he will re-up with a less than compelling team (at this point anyway). Deng will instantly improve the Cavaliers and might be the player that gets them into the playoffs,therefore saving the job of mediocre general manager Chris Grant before the free agency period with the decision of you know who and the talent filled draft. I am more than fine with the cost (essentially second rounders) to take the chance to land a player of Deng's skills,but Chris Grant might be putting his job on the line on Deng putting this team in playoff action and then the ability to keep him in Cleveland. 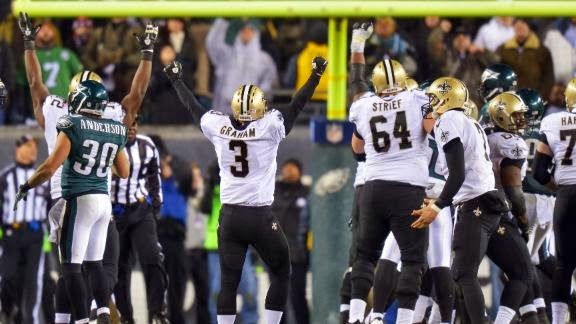 Shayne Graham booted a 32 yard field goal on the last play of the game to lift the New Orleans Saints to their first ever road playoff win over the Philadelphia Eagles 26-24 in Philadelphia. The field goal was the fourth of the game for Graham and finished a drive that started after the Eagles had taken the lead on a Nick Foles to Zach Ertz scoring pass with 4:54 to go. The Eagles would never touch the ball again. 1) Key to the win? Shutting down LeShaun McCoy. The Eagle back led the league in rushing,but was held to 77 yards on 21 carries. 2) Allowed to Saints to drop men in coverage and not let Nick Foles to throw the ball downfield. Other than a long pass interference call and one 40 yard gain to DeSean Jackson,Foles was forced to keep the ball underneath and finished with under 200 yards passing. 3) Drew Brees struggled in the first half a bit with two picks and a underthrown ball that would scored a touchdown early,but rebounded in the second half with a score and leading the game winning drive. Was it vintage Brees? No,the evening cold was not a friend,but it was good enough to quiet thoughts that the Saints couldn't on the road or in bad weather. 4) The Saints use a balanced group of running backs,but with Pierre Thomas out for the game,Mark Ingram had to carry the load and the former Heisman winner did just that in finishing with 97 yards and averaging over five yards a carry. Ingram has been somewhat disappointing as a pro,but he shows signs of coming around when he drops his habit of tipping toeing behind the line. 5) Drew Brees did not have a reciever with more than 44 yards (Jimmy Graham) and just one with four catches (Darren Sproles),but 11 different Saints caught passes. 6) Cameron Jordan finished with two sacks and was in the face of Nick Foles all day. Jordan improves every season as a pass rusher and will be a main factor if the Saints are to win in Seattle. 7) Corner Keenan Lewis left the game early in the second half with a head injury and that is when DeSean Jackson suddenly became a force in the game. Corey Allen struggled against Jackson and Lewis managed to keep Jackson under wraps-as in zero catches against Lewis. Lewis will be needed against the Seahawks..
8) Jimmy Graham held to just three catches in the game,but Graham did catch a touchdown with one of those. Graham is the receiver that most teams gameplan to stop against the Saints and the Eagles often were doubling Graham with a linebacker and a safety. 9) Much was made about rookie Terron Armstead starting at left tackle against Trent Cole. Cole did finish with one sack,but I would not say that he was a force rushing against Brees and the rookie did account himself well.Armstead shows the skills of an elite left tackle,although he has a long way to go. 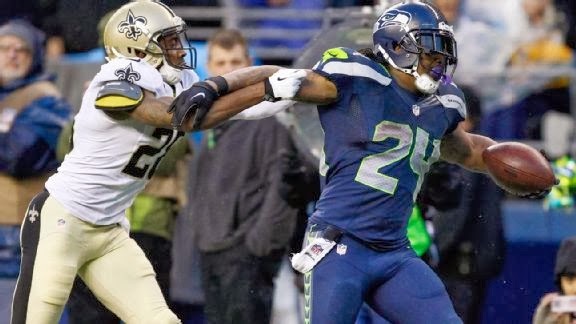 10) Finally,with the road playoff losing streak,the question is this-can the Saints win in intimidating Seattle,where the Saints lost in the playoffs to a bad Seahawks team before and was smashed this season. Maybe. The Saints will have some confidence off this win,the Cardinals just won in Seattle handing the Hawks their first home loss of the season and Russell Wilson is not exactly playoff tested yet. At the same time,home field in Seattle means so much and the Seahawks will be rested. It was fun and exciting and lots of offense,but it still wasn't enough as Ohio State fell to Clemson 40-35 on the Miami turf in the Orange Bowl. Braxton Miller threw for over 200 yards and 2 scores,although he was intercepted twice in being pounded from pillar to post all night with a shoulder injury while Carlos Hyde rushed for over 100 yards and a score. Ohio State ends the year at 12-2 and will take the next eight months plus off before returning against Navy in Baltimore. 1) Braxton Miller had a chance to win the game after the Buckeye defense intercepted Taji Boyd to get the ball back with under two minutes to go,but was then intercepted himself. Miller said he injured his shoulder early in the first quarter and it showed as Miller was clearly damaged throughout the game and lacked zip on the throws. 2) The question is should Miller have been replaced by Kenny Guiton? Miller gave it all that he had and considering that he was getting blasted by defenders every play,his game was good enough,but Guiton was fresh and most importantly-uninjured and might have given the Buckeyes a better chance of winning. 3) Carlos Hyde continued his bulldozing style against the Tigers with 113 yards. Hyde finished with over 1,500 yards,good for seventh in Buckeye history and missed three games to do it,although in a 14 game season,that offsets his competition in shorter seasons. I think Hyde is going to be the perfect cold weather runner for some NFL team and I am pulling for the Browns. Runner's like Hyde may rarely have longevity,but they are brutally effective and fun to watch. 4) Speaking of future Browns.I've been talking up Sammy Watkins all season as the perfect fit for the Browns and boy,did he make me look good in setting an Orange Bowl receiving record. Some of that might have been the absence of Bradley Roby,but I am salivating at the idea of a Josh Gordon/Sammy Watkins pairing. 5) The losses of Bradley Roby and Noah Spence to various issues meant the defense was less than sturdy,but I am not sure that their addition would have made a difference. Spence may have made a play or two and Roby might have helped with Sammy Watkins,but enough to win? I'm hesitant to go that far. 6) Bradley Roby is going to the NFL and he'll be a high pick,but for all the reputations and awards-I found Roby to be quite ordinary and I'll have him ranked lower than most in my corner rankings for the draft. 7) Yes,the defense struggled and all three of the starters forced into action had their issues,but considering everything,they were not the difference in the loss. In fact,Vonn Bell was especially impressive in keeping Clemson out of the end zone with a leaping interception of Tajh Boyd. 8) Luke Fickell is a great recruiter and a loyal Buckeye,but it is time for him to go as defensive coordinator. 9) Carlos Hyde slammed the ball as noted,but carried the ball once in the 4th quarter,which denies the best part of Hyde's physical game-wearing down the defense. Two games in a row that Hyde was preparing to finish off the opponent and the play calling stopped him. 10) The play of the game-the fumbled punt by Corey "Philly" Brown.The Buckeyes lead by nine and forced a punt.Brown muffed the kick,Clemson recovers and would score. That swung the game back in the Tigers favor and cost the Buckeyes the chance to put the game away. 11) Ryan Shazier and Braxton Miller need to return to Columbus. Selfish wishes? Sure,but Miller needs tons of passing work and Shazier looks to be an inside linebacker in the pros. Shazier was given a second round grade by the committee that helps juniors determine their draft value. Problem is inside backers often go later than projected. 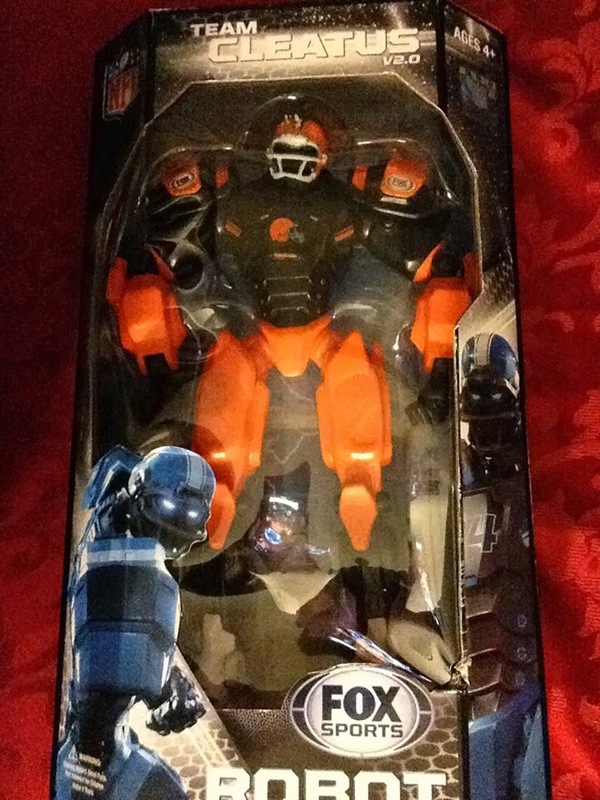 Shazier didn't have a great Orange Bowl and might make more money eventually by waiting. 12) The season has to be considered disappointing,but I was more down about the loss to Michigan State. That was also a game that got away,but it just seemed different. This was a fun game to watch and really didn't matter in the big picture whether OSU earned a win or loss other than the trophy. However,this game also showed that Ohio State still has a way to go on the defensive side of the ball and Urban Meyer is still upgrading the program through recruiting. Next season may be a step back in record and the MSU loss might have saved fans from a far less fun game against Florida State,who would have taken glee in stomping Meyer,but I still see a glossy future for the Buckeyes and the program.. The Pile is growing smaller and this will be the next to last signing front of the year. The next one will be my biggest post of stuff of the season and all from one person,so be on the look out for that one! Thanks to Jason Christensen,who helped me during the Trenton-Binghamton playoff series.Jason gives me extras of guys and that's always great! Jason also got me Gary Sanchez on his Top 100 and Mason Williams as well during the series. Thanks for another great year,Jason!! Thanks to Mike Oravec,who continues to help me with his mail successes with former Indians,Giants and Pirates. My favorite might have been former Indian and Pirate shortstop Felix Fermin as a Prince William Pirate! Mike also has given some extras from the early 90's Crown gas Orioles set too. 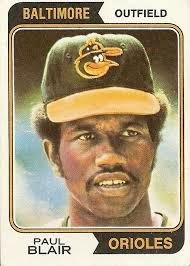 I have never liked the Orioles,but I love getting those cards signed as they are in many cases the only cards in an Oriole uniform that some players have. Some favorites that Mike sent me from that set were Pete Ward,Jim Gentile and Fred Beene. Thanks for the graphing help as well as our friendship,Mike! Tom O'Brien continued to help me at Bowie,but he came through for me with two cards that I have long wanted signed-the 1970 and 1971 Indians cards of Ken "The Hawk" Harrelson! Tom got the Hawk for me when the White Sox visited Baltimore and I love the additions to the collection! Tom also helped at Bowie with former Pirate Jake Fox on his Indianapolis card,Giants prospect Joe Panik on his Topps debut card and Twins pitching prospect Trevor May on his debut among others. Tom also helped with some players from the independent league,most notably Trevor Reckling on his Bowman top 100 refractor from a few years back. I pulled that card out of a pack myself,so that made it even cooler. Again,Thanks for another great year,Tom! Finally to the mailbox,I have only sent scattered things out this year,but when old stuff comes back,it is always a treat. Former Mariners pitcher Brian Allard destroyed my record for longest wait with a return in 1,019 days,but held the record for just two weeks when former Yankees and Orioles catcher Rick Dempsey returned his in 1,023. Former Red Sox infielder (and an fan of mine in-person) Ed Romero! Persistence pays off! Hoping to get Jordan back for a winter interview. Next signing front will be a big one to wrap up the 2013 season! Adam Henrique and Michael Ryder each scored a goal and assisted on the other's to lead the New Jersey Devils to a 2-1 win over the Pittsburgh Penguins to conclude 2013 in a positive manner. Martin Brodeur stopped 19 of 20 shots in goal to earn the victory. Henrique's goal (9) came in the first period less than two minutes into the game,while Ryder scored his (12) early in the second. 1) Martin Brodeur didn't have to make a large quantity of saves,but he did make some quality ones,especially in the third period when Pittsburgh was on the attack. 2) Adam Henrique scored his third goal in three games after not scoring for twelve of them. Henrique and Michael Ryder seem be developing some chemistry on their line,which makes sense to me as Ryder is more of a sniper type with Henrique better at rushing the net..
3) Patrik Elias crashed into the boards hard in the first three minutes and was badly shaken up. Elias stayed on the ice for a few minutes and then left the game. 4) Ryane Clowe has been playing on the line with Henrique and Ryder and assisted on a goal for his point since his return. Clowe has a long way to go (especially with his contract),but there are a few signs anyway. 5) Considering the competition,this was a great effort for the Devils. The Devils dominated the first and played the Penguins on even terms in the final two periods. This was the first game all season that the team played a superior foe and generally had their way with them.